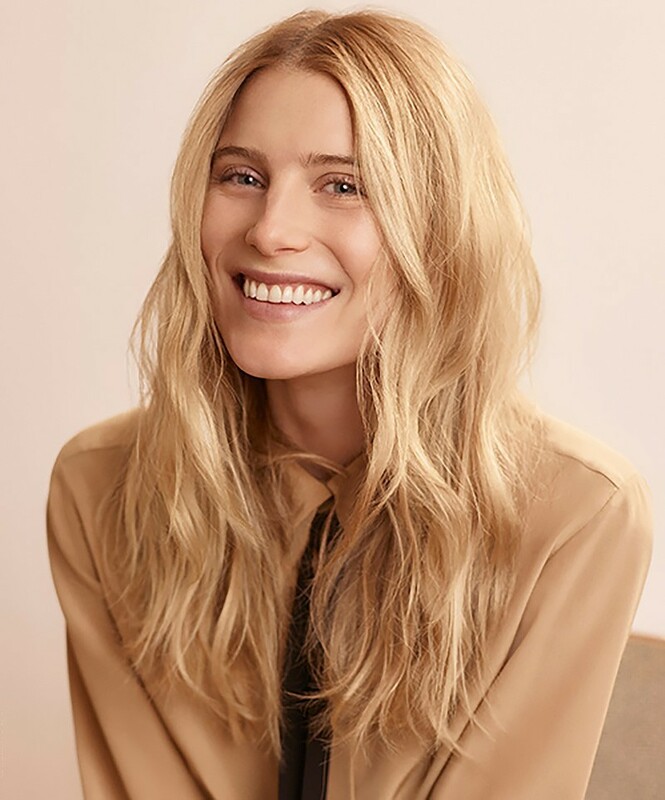 Dree Hemingway Interview: "I Am More Than Just This Member of a Historic Family"
Model and actress Dree Hemingway is known for portraying the lead in the independent drama Starlet (2012). Other film appearances include Listen Up Philip, The People Garden, Live Cargo, The Disaster Artist, Love After Love and In a Relationship. Wanderland, an adventure/comedy/musical, also featuring Tate Ellington, Douglas Hodge and Victoria Clark, can currently be seen in select theaters and on digital HD. Dree is the daughter of actress Mariel Hemingway and Stephen Crisman, as well as the niece of the late model and actress Margaux Hemingway. Author Ernest Hemingway is her great-grandfather on her mother’s side. She has a younger sister named Langley Fox Hemingway Crisman (known as Langley Fox). Melissa Parker (Smashing Interviews Magazine): What’s the story behind the name “Dree”? Dree Hemingway: My hippie dad said it was his first thought and word he remembers saying in the crib when he was little, and my mother had a dream about it. Melissa Parker (Smashing Interviews Magazine): The film Wanderland is quite quirky, but enjoyable. Dree Hemingway: It’s so well done. Melissa Parker (Smashing Interviews Magazine): How did you become involved in the film? Dree Hemingway: My agent set up a general meeting with Josh (Klausner) as being a filmmaker I wanted to work with who is kind and talented. He was in the middle of writing this script, and I’m very into anything that’s fairytale or has a bit of a child-like aspect. I asked if I could be a part of it. Months and months later, he offered me a part. Melissa Parker (Smashing Interviews Magazine): Your character (Lisa Leonard) is the catalyst for everything that happened to Alex (played by Tate Ellington) along his strange journey. Dree Hemingway: That’s for sure (laughs). Melissa Parker (Smashing Interviews Magazine): But we only see you for a few minutes, so what interested you about the character? Dree Hemingway: I kind of liked being in the air the whole entire time, which my character was, which was very interesting. To be honest, I was interested in any character that he would’ve offered me, but I thought it was fun to play somebody who was the more grounded person in the film. She circles Alex back into reality in a weird way, which is cool and interesting. Melissa Parker (Smashing Interviews Magazine): Had you worked with any of the cast before? Dree Hemingway: No, never. It was my first time. I actually didn’t really get to see anybody until we were at the film premiere at the Hamptons Film Festival, so it was really cool. I always find it interesting when you meet somebody who’s just a character on screen, and you can differentiate between who they are and what they’re playing. Melissa Parker (Smashing Interviews Magazine): You are also in Love After Love with Andie McDowell. Dree Hemingway: I am! That film is definitely different than Wanderland. It’s so beautiful, and it was an incredible cast to work with. Russell Harbaugh, the director, was very influenced by old oil paintings at a lot of old cinemas, and the research into that was very interesting. Many of his references were beautiful oil paintings of women or families and things like that. Andie McDowell is incredible. This is an amazing film for her. You haven’t seen her do anything like this in a really long time, and Chris O’Dowd really showcased himself in a different light, I think. Melissa Parker (Smashing Interviews Magazine): How do you feel about indie films not relying on studio money and sometimes paying actors very little for their work? Dree Hemingway: It’s definitely one of those things where you have these small types of families, and you’re all in it for the right reasons because it has nothing to do with money. You’re all just trying to make something that has been written on a page come to life by everybody pitching in and doing the best they can. I think it’s definitely a game about fundraising and getting money together, like really putting yourself out there to get these movies to see the light of day and to get recognition. But I think they are the ones that move us, that are our therapy when we watch them, so I’m always grateful to do anything to make somebody’s dream happen. Melissa Parker (Smashing Interviews Magazine): Why did you want to venture into acting from modeling? Dree Hemingway: I started modeling when I was 19, but I went to acting school before that. I’ve always wanted to be an actor even before I started modeling. I just didn’t think I was ready to start acting because I didn’t have enough life experience. I think so much of what I do is creating something, but also making it real because you have to pull from experiences you know, and I didn’t know myself well enough at 19. So I went into modeling because I was also a ballet dancer, and it seemed like the best thing, that I could incorporate movement and creating a character. To be honest, it was one of the best teachers I could have for my acting ability. Melissa Parker (Smashing Interviews Magazine): What kind of influence has your mom had on your career choices? Dree Hemingway: I grew up on different film sets with my mom when I was younger, and I think that I really fell in love with the whole family dynamic of a crew itself. That attracted me, and watching my mother in her earlier films when she was younger was really inspiring to me because I think she held her own as an actress and was unlike anybody else. I was interested in doing the same, but for me. All in all, my mother was very supportive of anything I wanted to do. She’s never pushed me in one direction. She’s not a stage mom. I’m also a very independent person as well as quite stubborn, so I had to figure it out on my own. My mother also kept me a little shadowed from the industry itself growing up. So it really has been my own self discovery. Melissa Parker (Smashing Interviews Magazine): Along the way, have you discovered that the Hemingway name has been a help or a hindrance? Dree Hemingway: I definitely can’t deny it for being a good door opener. But at the same time, I’ve always wondered if it would’ve changed something had I not been a Hemingway, if maybe I would be looked at in a different way had I not really had the weight of what it is. Does that make sense? At the same time, it’s not who I am, and it’s not the life I lead, so I don’t know. I definitely put more pressure on myself for having the Hemingway last name to prove myself to others as well as me personally that I am more than just this member of a historic family. Melissa Parker (Smashing Interviews Magazine): Did you learn about your great-grandfather, Ernest Hemingway, through family members? Dree Hemingway: The funny thing is I’ve learned a lot more through traveling, through modeling and acting and meeting people who are big fans that I knew growing up. When it comes down to it, he is just my great-grandfather. I know he’s not just my great-grandfather. He’s a brilliant writer, but in my mind, he wasn’t my favorite writer growing up because, as a teenage girl, his writing wasn’t something that I was really geared toward. But I definitely have a respect for him, and I definitely learned with age and through listening to people’s stories and their love for him, to have this great appreciation for who he is. It’s a huge honor to be related to him. Melissa Parker (Smashing Interviews Magazine): In addition to your work, what are you passionate about? Dree Hemingway: I love music. I love reading. I have a lot of different things that I’m into. I love creating. I like getting together with other creative people and being able to put together a film or some little projects that are helpful. I’m really into styling as well, so I’ve been doing that a little bit when I have space in between working. Melissa Parker (Smashing Interviews Magazine): Are you still doing some modeling or just concentrating on acting now? Dree Hemingway: I love modeling. I like it from the creative aspect. I have a huge love for being able to work with incredible photographers in creating beautiful images, but mainly for my friends, so that’s more play for me. I’m really, really focusing right now on film, and I love reading, so I’ll sit and read scripts all day. I like cooking more than anything, so I’m very happy to hermit at home for a very long time. Melissa Parker (Smashing Interviews Magazine): What else is going on, Dree? Dree Hemingway: I have another film out called In a Relationship with Emma Roberts, which I’m really excited about. It’s really great, and it was really fun to film. We filmed that last year in February. Then I have some films that I can’t talk about quite yet. But, yeah. It’s been good. It’s funny because I do come from modeling and have thrown myself into the acting world, and there’s this huge thing about “a model turned actress.” I really think you can do both if you want to, if you’re passionate about it. I’ve always felt like an actress when it comes down to it even in modeling, even though I built a name for myself. I never felt like I fully held the title of model because it just never stuck for me. Who knows if the title of actress does either, but it’s fun. I’m doing castings all the time, and it’s starting from the beginning and building a new name, and there’s something quite fun and interesting about that. Melissa Parker (Smashing Interviews Magazine): Having your own identity. Dree Hemingway: Having my own identity and also being green and figuring it out again for myself. It’s just cool. I don’t think you’re ever too old to do that in anything you want to pursue. I just want to create things and make people feel something when they watch whatever I’m in. That makes me happy.